Saudi Basic Industries Corporation (Sabic), a leading petrochemicals company, has agreed to acquire approximately 83 million shares in Switzerland-based Clariant, a global specialty chemicals company, from 40 North and Corvex Management. The acquisition of this approximately 24.9 per cent stake in Clariant will make Sabic the largest Clariant shareholder and represents another key milestone in the company’s growth and diversification strategy to become the preferred world leader in chemicals, said a statement. This acquisition is part of Sabic’s long-term growth strategy to remain committed to product differentiation and creating value for its customers, it said. 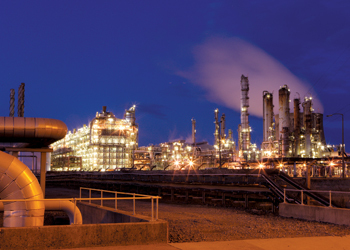 Clariant is complementary to Sabic’s existing specialties business and is well in line with its strategy of opening up new growth opportunities in specialty chemicals, it added. Sabic currently has no plans to launch or otherwise effect a full takeover of Clariant. Sabic and Clariant have already had a successful relationship in their joint venture, Scientific Design, a process technology and catalyst development company. Sabic is looking forward to engaging in discussions with the company. “We are confident that this transaction allows Clariant to continue on its path to becoming a global specialty chemicals leader,” he added. “Sabic strategic investment in Clariant is a successful outcome and we are pleased to have played a role in making it possible,” he added. The closing of the transaction is subject to completing regulatory approvals, it stated.